Cleo is originally from England, moving to Ireland in 2011. She is a qualified Social Worker having gained a Diploma and a BA (Hons) Oxon in Social Work. She has over 20 years experience in the fields of Child Protection, Mental Health and working with Offenders. Cleo has worked for the Archdiocese of Dublin as their Child Protection Officer. She currently shares her working week with the Diocese of Killaloe, Diocese of Cork and Ross and Sisters of Mercy Southern Province. Fr. Pat Malone is the Diocesan Assistant Designated Person for Safeguarding and assistant to the Director of Safeguarding. 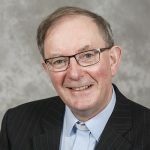 He has been working with the Safeguarding Services of the Diocese since 2001. He is a Parish priest in the Diocese and holds an MA in Psychotherapy from the University of Limerick. Killaloe Diocese has a number of qualified trainers who provide training and support in all aspects of safeguarding children. 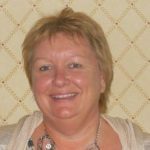 Jennifer Moran Stritch has been a Child Safeguarding Trainer for the Diocese of Killaloe since 2014. 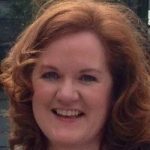 In addition to her work with the diocese, Jennifer is a lecturer in the Department of Applied Social Sciences at Limerick Institute of Technology in personal development and therapeutic group work skills. She also serves as the director of the Loss and Grief Research Group which is part of Social Sciences ConneXions research collective at LIT. Having trained as a social worker in her native Connecticut, USA Jennifer now lives in Clare with her husband and 3 children. 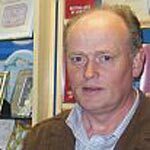 Joe Searson has been a Child Safeguarding Trainer for the Diocese of Killaloe since 2005. Joe is also a Diocesan Advisor for the diocese visiting Primary Schools in relation to Religious Education across the diocese. Joe trained as a school teacher in England and worked for 20 years in secondary schools in London. Joe returned to Ireland in 2002 and lives in West Clare with his wife and family. The Director of Safeguarding is appointed by the Bishop and reports directly to him. The role of the Director is to oversee all aspects of safeguarding and child protection in Church related activities throughout the Diocese of Killaloe. The Director will also provide professional expertise and support and coordinate the overall development of the service within the diocese. The role of the Support person is to assist anyone making a disclosure/ allegation of abuse. Enabling the person to liaise with the Designated Liaison Person (DLP). Represent their needs during an enquiry/investigation. The Support Person is appointed by the Bishop and will receive appropriate training. The Adviser is to be available to the person about whom a child protection concern, suspicion, disclosure or allegation has been made. The role of the Adviser is to represent their needs and assist, where appropriate, with communication with the Designated Liaison Person and the Diocese. The Bishop will appoint a panel of Advisors from clergy and lay, who will receive appropriate training and support from the Diocese. Those who have harmed others are asked to face up to the reality of abuse. While not protected from the law, they should be treated with respect and dignity. Explain the diocesan referral procedures to the person who has raised the concern. Inform the Bishop that a complaint has been made and make a recommendation to the Bishop about any immediate action(s) that may need to be taken. Alert the Adviser to be on standby, without identifying the person complained against. Conduct an initial interview with the person complained against as soon as possible, nless the HSE / An Garda Síochána have requested that such an interview is deferred. The role of the Parish safeguarding Representative is outlined in Section 7.1 of the Killaloe Policy and Procedures Document. The responsibilities of the Diocesan Safeguarding Committee are outlined in Section 7.2 of the Killaloe Policy and Procedures Document. The safeguarding awareness programmes are delivered throughout the diocese by a number of trainers appointed by the Bishop. All trainers will have completed an accredited child protection programme. The role of the trainer is outlined in Section 4.3 of the Killaloe Policy and Procedures Document.